It is the fourth consecutive year, that a stage of the European Freestyle Pro Tour is being hosted at the Zeil- and Surfcentrum Brouwersdam, Holland. 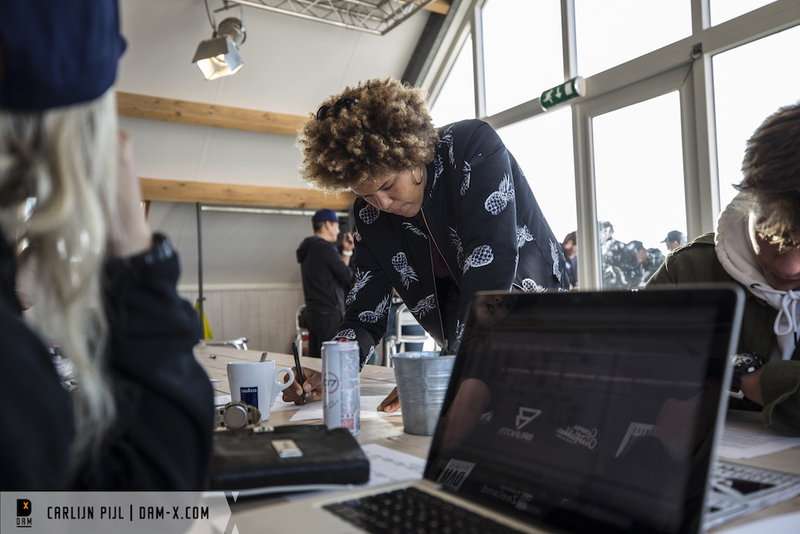 Since the beginning, the local crew has focused on promoting windsurfing in every possible way. After implementing the first ever EFPT girls competition in 2015, the DAM-X had also always been a great event for freestyle rookies to make their first appearance and last but not least, it has been providing a perfect playground for the up and coming generation. The participation rate of juniors had been exceptionally high in the past editions and the requests to run an EFPT juniors division intensified. We are delighted make this wish come true in 2018. 38 riders registered for the pro fleet of the DAM-X, four of them also being competitors in the EFPT 16 and under division. Wildcard receivers have been Lennart Neubauer (Severne), Corto Dumond (Severne), Stefane De Bell (Severne) and Nil Bacon (Severne), four highly talented junior riders that have been already joining the pro fleet in previous events. The fight for the European Freestyle Champion title will get serious here at one of the most famous freestyle windsurfing spots of Europe. Tonky Frans (RRD/RRD) has been the tourleader throughout the whole season, however is being chased by five times European Champion Steven Van Broeckhoven (Gunsails/JP) and Giovanni Passani from Italy. Furthermore, some of the best European riders will have to qualify for a fixed starting place in next years PWA freestyle competitions. Some highly credited riders like 2018 vice-worldchampion Adrien Bosson (Fanatic/Duotone) and Bonairean top freestyler Taty Frans also signed up, to battle for the € 10.000 prize-money that is up for grabs. A total of 15 juniors signed up for the EFPT, with four girls competing in the 18 and under and eleven boys in the 16 and under category. Contender for the junior girls title is Lina Erzen from Slovenia, who impressed with a great performance in the PWA Fuerteventura in July. Salomé Fournier, Margo Kurvink (JP/Neilpryde) and Sterre Meijer (Severne) are the three other junior girls to complete the fleet of four. Eleven years old Val Erzen and Ancor Sosa Kater (Patrik), who already participated in the EFPT Fuerteventura, are the youngest riders of the junior fleet and will have to face local riders like Tigo Kort (Severne), Tim Gerdens, Meijer Tijmen (Severne) and Bodhi Kempen (Severne) as well as rookie Leander Oldenburg from Germany. The fleet of eleven is completed by the highly talented Lennart Neubauer (Severne), Neil Bacon (Severne), Corto Dumond (Severne) and Stefane de Bell. With two whole race crews, there will be the possibility to run the pros and juniors simultaneously, to make sure all the riders get a fair chance show their best performances in suitable conditions. The ladies fleet is led by Sarah-Quita Offringa (Neilpryde), who goes into the competition as the reigning European Freestyle Champion. However, Maaike Huvermann (Severne) and Arrianne Aukes (Fanatic/Duotone) are registered and ready to fight for the title this year. 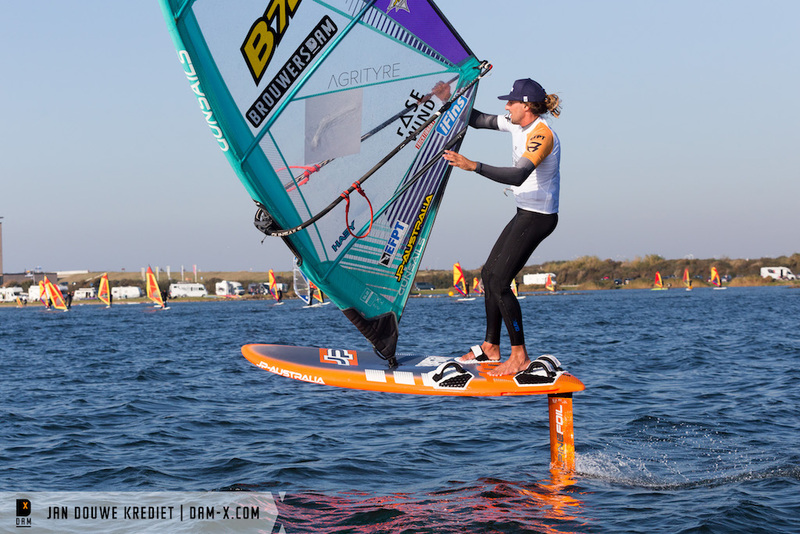 Apart from the junior girls, who all join the pro fleet, local rider Tess Van der Hulle (Severne) and freestyle windsurfer Sophie Linsmayer (Severne/Patrik) signed up. Just around 4.00 pm the wind started to increase a little bit, but remained too unstable throughout the remaining day. With a promising forecast for the upcoming days, the riders have been released at 06.00 pm. We’ll have an earlier start tomorrow and schedulded the skippers meeting for 08.00 am. Make sure to follow our social media channels and the EFPT Live page on our website, for more updates throughout the day.